I know. Blah. 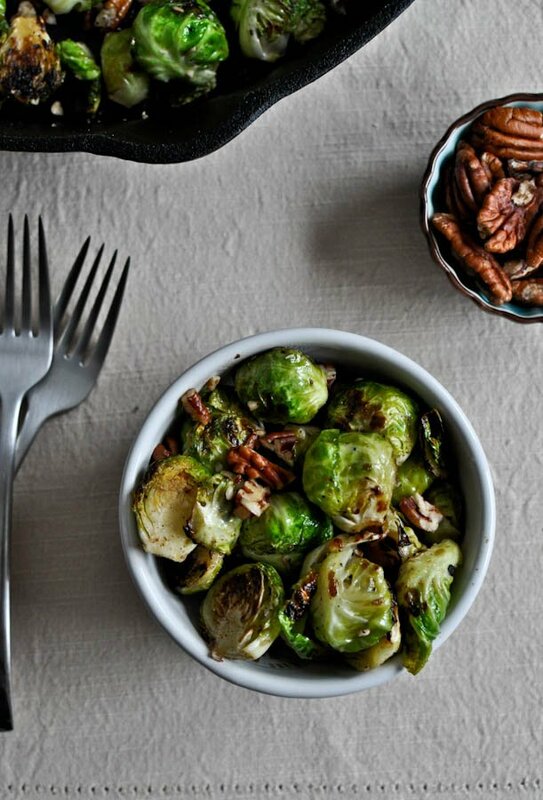 Brussels sprouts on a Friday. If you are new around these parts, then take a moment to pick up your eyeballs because they probably popped out of your head when you saw the first picture and are currently rolling down the hall. But the thing is… last year I decided to try brussels after my friend Kacy posted something about them being delicious. I was feeling brave. I was mid-chocolate hangover. I was bored. I was desperate. Soooo… I pan-roasted them with some bacon and potatoes. And I LOVED THEM. And can we just take a moment to praise the person who created the word “pan-roasted?” It’s such a lovely name for lightly FRIED. I don’t know what it is about my taste buds. I like some really weird stuff. I despise nearly all vegetables (and certainly ALL raw vegetables – no exceptions), but the ones I do like? Kale? Brussels sprouts? I’m the strangest person ever. The best part was last winter when my mom looked at me like I had a third eye and screamed, “since when do you eat brussels sprouts?!?! ?” I mean, normal people don’t even like those vegetables. People who live for greenery don’t even like those vegetables. Just color me one big science project. Another thing about my taste buds that I find odd is how I adore tangy and bitter foods like vinegar. I have such sweet teeth, but I could drink balsamic. I don’t really like salad dressings (well, okay… I don’t really like salads, duh) but I can eat one drenched in vinegar. There is just something about the tartness and the slight burn that I freak over. I know nothing about food science but for some reason I believe that my vinegar and sprouts love is related. I also shredded brussels once too. That was cool. Sort of annoying. But cool. Don’t excommunicate me yet though. 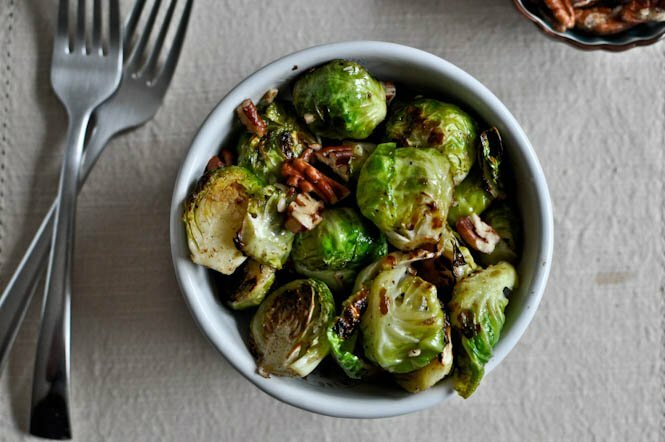 The only way I can eat brussels sprouts is if they have married bacon fat or brown butter. I’m sure I could handle a few large glugs of olive oil, sea salt and maple syrup… but that’s yet to be determined. And speaking of drinking things (like vinegar) and making brown butter (like everyday)… can I just drink that? Because I really think I could make a meal out of it and call it a day. Heat a small skillet over low heat and add pecans. Toast for 4-5 minutes, gently stirring and shaking the pan even 30-60 seconds so the pecans don’t burn. Remove from heat and set aside. Heat a large skillet over medium-high heat and add olive oil. Add shallots and garlic and saute for 1-2 minutes, until fragrant. Add in brussels spouts (I like to start with mine cut side down), salt and pepper, and cook for 8-10 minutes, tossing brussels every so often, until browned. While brussels are cooking, heat a small saucepan over medium heat and add butter. Whisk fairly continuously until butter begins to get golden in color and brown flecks appear. Remove from heat immediately. 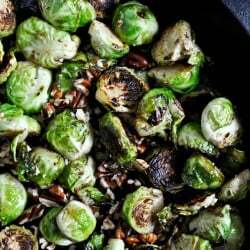 Remove brussels from heat once finished and toss in pecans. 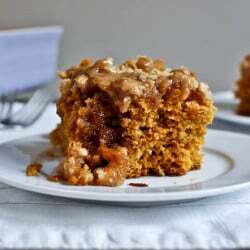 Drizzle brown butter over top, then serve. I Went To Trader Joes!